The Comics Journal Library series is the most comprehensive series of lavishly illustrated interviews conducted with cartoonists ever published. 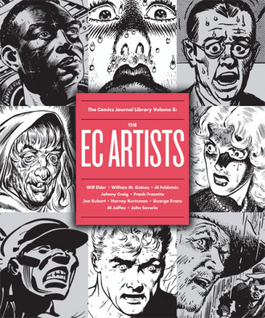 To celebrate our republication of the legendary EC line, we proudly present the first of a two-volume set of interviews with the artists and writers (and publisher!) who made EC great.